Today was a good day for MaoChan. I would like to send out a thanks to one of San Antonio’s local Party members for helping out MaoChan by donating a Powerbook Laptop to the fight. It will help insure that updates to the site will occur frequently no matter where I go once I got OSX installed on it. As fanservice, I decided to post on one of everyone’s favorite topics, papercraft. Here coming from Rapidshare via Kotaku is a sweet Vivi papercraft doll. Of all the recent Final Fantasy games, FFIX is one that managed to leave its mark on my mind. FFX was a flop and FFVIII should of been named something else (a theory I will preach on later). 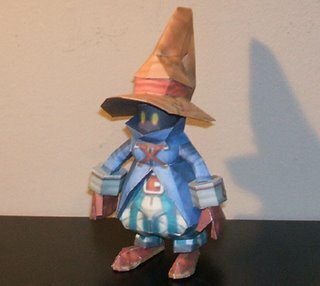 What was the perfect throwback that honored tradition, FFIX was great and Vivi was the quintessential black mage. Get folding a Papercraft Vivi. PS-If anyone knows where I can get a copy of OSX Tiger, I would greatly appreciate it. 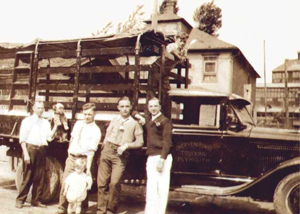 After the Depression, it was the Jazz age. And so you won’t feel out of it, incase you accidentally end up in the 1930’s, here is some slang from the period that will help you with everything. From trying to get to Tin Pan Alley to reeling in some tomatoes, this here dictionary is the cat’s pajamas.